Are Slimy & Squishy Chicken Breasts Safe To Eat Or Not? Why are some chicken breasts extra slimy and weird? Even staunch carnivores have gross tales of biting into a piece of chicken cartilage or beef gristle. And now, thanks to years of breeding chickens quickly, food manufactures have inadvertently created another gross mishap: spaghetti meat. Researchers give this name, because, well the meat really does look more like pasta. Scientists believe this is caused by the quick growth rate of commercially farmed chickens. This occurs because the breast muscle tissue doesn’t receive enough oxygen from chickens’ developing circulatory systems. Muscle fibres degrade, which then changes the density and texture of meat. “There is proof that these abnormalities are associated with fast-growing birds,” Dr. Massimiliano Petracci, a professor of agriculture and food science at the University of Bologna in Italy, explained to the paper. 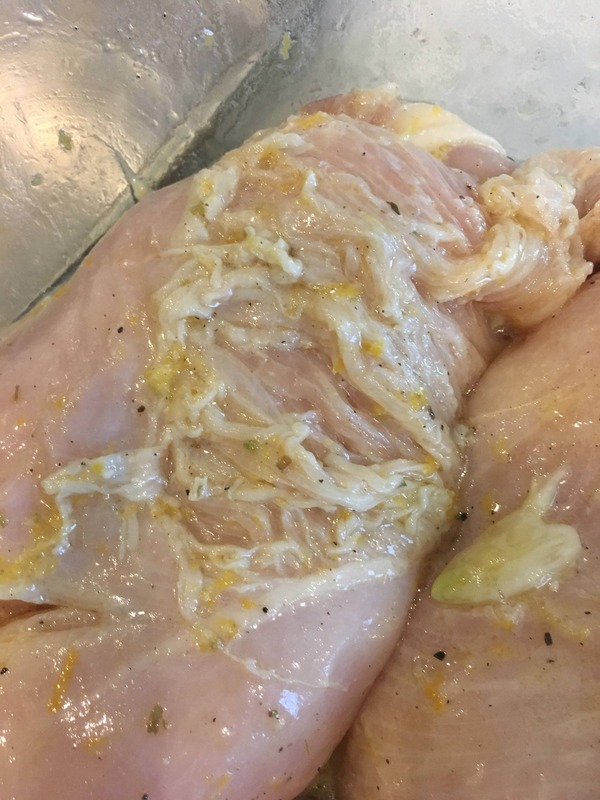 One Reddit user posted a photo of his stringy chicken breast. He claims to only have placed it in lemon juice for three minutes before discovering the wonky chicken. Although this sounds pretty repulsive, researchers say it’s not actually harmful. Still, companies are looking for ways to reduce the number of woody and spaghetti meat chicken since it’s fairly off putting. For example, Sanderson Farms now slaughters chickens at slightly younger ages to minimize the amount of meat impacted. WSJ reported this strategy has cut the number of woody chicken breasts found in half. And companies are already looking into high tech ways of breeding to ensure this doesn’t happen.